Very beautiful indeed. 365 verses linked to the turning of the year. Celebrate each day. ‘What are days for?’ asked poet Philip Larkin. 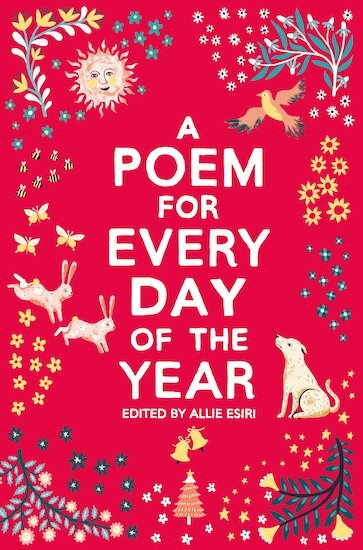 ‘Days are where we live.’ And now each day of the year has a poem in this book, to help you fully savour it. Daisies and clover. Wild western winds blowing. The golden days of high summer. The wintry newborn year. From A.A. Milne to Shakespeare, from weather poems to whimsical fancies, all these poems are underpinned by a sense of the year’s shape, motion and rhythm. Don’t sleepwalk through your precious days. Read a poem for each of them.